I actually fought this game some time ago but for various reasons never got around to writing it up. Sadly the exact order of battle is missing but the scenario was loosely based on the Siege and Relief of Chitral. 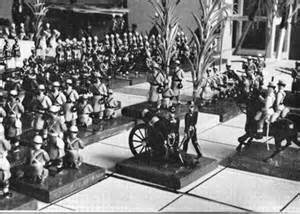 The game was typical of many of the Colonial 'isolated-garrison-under-siege-waiting-for-the-relief-column-to-arrive' actions fought around the world and whilst it was great fun to fight changed its perspective very early on in the action. The scenario consisted of a small Imperial garrison holding a fort surrounded by revolting Afghans - mainly the fearsome Jalfrezis under the command of their fearless leader, Ram Ditin. The relieving column, comprising some of the Empire's finest from the garrison at Dovecot, had to pass to the very end of the Roghan valley in the face of hordes of hidden tribesmen, determined to stop them. The game was fought using Bob Cordery's Memoir of Battle rules and, as ever, was huge fun to fight. The start of the action. The fort on the left of the picture is overlooked by a series of low hills full of fanatical tribesmen. The track leading away to the right is the approach road from the garrison at Dovecot and is the moset direct route to the beleagured fort. The Jalfrezis have taken up ambush positions in the hills to stop the Imperial relief column. Surrounded and overlooked in every direction the outlook for the small force of Imperial infantry is grim unless help arrives before the impending Jalfrezi onslaught. Contact! With a fearsome warcry the Jalfrezi horseman, with Ram Ditin in the front rank, crash into the ranks of the Malabar Lancers but are bested by the doughty Indian cavalry. Meanwhile the Jalfrezi assault on the fort commences with the defenders already taking heavy casualties from the dreaded jezzails of the tribesmen. The victorious Malabar horse charge down the hill unaware of the band of tribesman to the north of the small wooded area by the road. Meanwhile the infantry press on with artillery following on. The battered garrison fear the worst as casualties mount and the overwhelming number of tribesmen mass for the decisive assault. Despite inflicting some losses on their attackers the defenders, gallantly fighting to the last, are overrun. With a screaming battlecry the Jalfrezis crash into the Imperial infantry and a brutal and desperate hand to hand struggle ensues with casualties heavy on either side. Eventually the leading Jalfrezi units are driven back from the advancing Imperial column. After a brief pause to reorganise the Imperial forces press on to the fort unaware that it has already fallen and their efforts have been in vain. The Imperial cavalry has pushed well forward but comes to grief from long range jezzail fire and support from the Jalfrezi horse and artillery. Meanwhile the Imperial infantry pushes forward with support from machine guns and artillery. The remainder of the column follows the advance guard into the valley and the commander is faced with a dilemma - should he push on to the fort in a gesture of defiance or withdraw from the valley to make preparations for a large scale expedition? With the loss of the fort the prestige of Imperial arms would be embarrasingly reduced but would it be enough to encourage the wavering tribes of the frontier to raise their warriors under the banner of Ram Ditin? Either way, the tension on the frontier would rise. The final reckoning- despite suffering fewer casualties the Imperial forces have certainly suffered a setback with the loss of the fort. The only redeeming feature from the Imperial perspective was the damage inflicted on the Jalfrezis. It was imperative for Ram Ditin to garner suppoert from other frontier tribes to replace his depleted manpower. The same factor would also influence Imperial thinking and so a deadly race to mass troops for the decisive showdown had begun. The Empire was going to strike back. A scene from one of Joe Morschauser's games - and not a hex in sight! Whilst reading the rules I had an idea. The rules themselves use the concept of 'Battle Power' to assign a value to the types of troops in use. The idea I had was a very simple one but certainly has for me opened up a number of possibilities. Essentially then, why not use the Battle Power figure to closer reflect the troop quality/strength/training/equipment on a sliding scale? For example, a unit of guards infantry might be deemed to be better than the majority of the line troops in an army and so might be awarded an additional point of Battle Power; similarly a unit of raw conscripts might lose a point. In order to consider this further I need to read Bob's posts in more detail as well as acquiring a copy of Joe's book which is available via John Curry's History of Wargames project. Today has seen a few new additions to the collection (using up some spare Father's Day change) - a pair of Blu-Rays and a rather intriguing book. The two films I picked up from Sainsburys came from their two for £10 selection. There are some others of interest in the range that have been secreted away by SWMBO and my daughter from my birthday and Christmas so that will be something to look forward to. Spartacus needs no introduction and I have owned this film on VHS and DVD but wanted the Blu-Ray version for the sheer spectacle of massed extras - none of this CGI created stuff - in high definition. I have always found the story of Spartacus to be an interesting one and have several books on the subject. It may be something I game in due course using my Command and Colours Ancient collection but that will be one for the future. Predator I really enjoyed and in my opinion was one of Arnie's better films. Besides, any film featuring Jesse Ventura with a minigun has to be worth watching! Chitral Charlie - the Rise and Fall of Major General Charles Townshend by N.S. Nash (Pen and Sword ISBN 978 1 84884 276 2) traces the career and controversy surrounding the commander in charge of the Imperial forces that surrendered to the Turks at Kut in 1916. The book is subtitled The Life and Times of a Victorian Soldier and The Slow Rise and Swift Fall of Major General Charles Townshend KCB DSO which is probably a fair assessment of his career. I have a weakness for what I call 'the human side of history' or rather the human side of those historical figures we read about when we study our campaigns and battles. In this case my interest is around what made him act the way he did during the Kut episode, more especially during the aftermath. 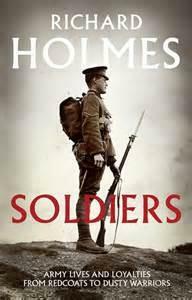 All that was good about his previous career was undone by his behaviour and apparent indifference to the fate of his men during the siege and after and so I was pleased to finally have a biography of the man to try and understand why he did what he did. It is a sad fact of military life that soldier's lives are often the price paid for the failings or shortcomings of their commander. Methinks I may have been a little hasty in my original plan to complete the ships by the end of July - circumstances beyond my control have intervened somewhat - and so the plan has been extended until the end of August. I think that will be far more realistic. It will also mean that I will have the chance to get the additional models from Panzerschiffe - mainly battle cruisers - to make the collection a little more rounded for the early war period. One to enjoy - and at £1.50 for a pristine and unread hardback copy certainly a welcome treat! It would be fair to say that the last week has been a particularly trying one for a number of real life reasons - one of which was mentioned in my previous post. I would like to say at this point how pleased and grateful I and my family have been at the numerous messages of support and good wishes we have received. It has been truly humbling and our thanks can never be expressed sufficiently to all concerned so many, many thanks once again. We have launched an appeal with the CPS and so will keep everyone posted as to how that goes in due course. Yesterday SWMBO and I had arranged to go to the seaside with some friends for an old school day on the beach. To be more accurate, our friends arranged the whole thing for us and told us we were going - which was an unexpected and delightful surprise - and so we were duly collected at around 11:00 and for a day on the beach at Shoeburyness. There is something truly comforting to me about a day at the seaside - memories from childhood of making sandcastles, excavating intricate tunnels on the beach and waiting for the tide to fill them; of sand and shingle between the toes, skimming stones and collecting 'treasure'. The sight, sounds and smell of the sea and the various stalls selling candy floss and hot doughnuts and various types of seafood. Fish and chips and cups of scalding hot industrial strength tea and warm fizzy drinks or squash all serve to paint a picture of a childhood that perhaps had been forgotten. We ate a picnic of truly gargantuan proportions and featuring roast beef, smoked salmon, quiche, salad, sausage rolls, scotch eggs, strawberries and cream, scones and beer, wine, cider and soft drinks. I played Petanque on the shingle and had a number of very close fought games; all the while with the sounds of the sea in the background. The day was rounded off with an excellent fish and chip supper and so SWMBO and I cannot thank Jackie and Steve enough for a truly wonderful day out. We popped to a boot sale this morning for a short while and I managed to pick up a copy of the book you see in the picture by the late and great Richard Holmes for a miserly £1.50. I managed to get he appeal email drafted to the CPS sent just as England managed to win the first test against the Australians and then saw that according to certain sources Chelsea football club are looking to get the legend that is Didier Drogba back at Stamford Bridge. Things have not turned out so badly after all then - now to crack on with the barbecue! ....That the video evidence against the two identified assailants of my son (the third attacker was never identified) was not sufficient to warrant a prosecution and so no further action was going to be taken. So my son, who still has no feeling on one side of his face after some nine months and has a metal plate in his jaw, has gone through all of the trauma of the attack; the painful recovery process; the loss of 6 weeks earnings and the inevitable psychological impact for nothing. Justice? Remind me - what exactly is it? - because it is sadly missing in this case. I hope the two gentleman who were arrested and no doubt advised to play the 'no comment' card by some lawyer never have the occasion to have to go through what my son did....then again, perhaps I do hope they do. Very well done to the chaps for this effort with a special mention in despatches for Chris for the sheer amount of hard work involved in bringing the whole thing to fruition - made even more remarkable by the events of recent weeks. Not much to look I know but the above represents the fruit of a very productive weekend. The Germans are the top row of models and are also on the left hand side of the rather battered cutting mat. Everything else is for the Royal Navy. The bases are all 1" wide and the longest are 4". Apologies for the lack of posts of late. Work has been (and, by its very nature, will continue to be so) very busy and so my hobby downtime has been pared back to the bone. Going forward, posts during the week will probably be few and far between and pretty short even when they do appear! 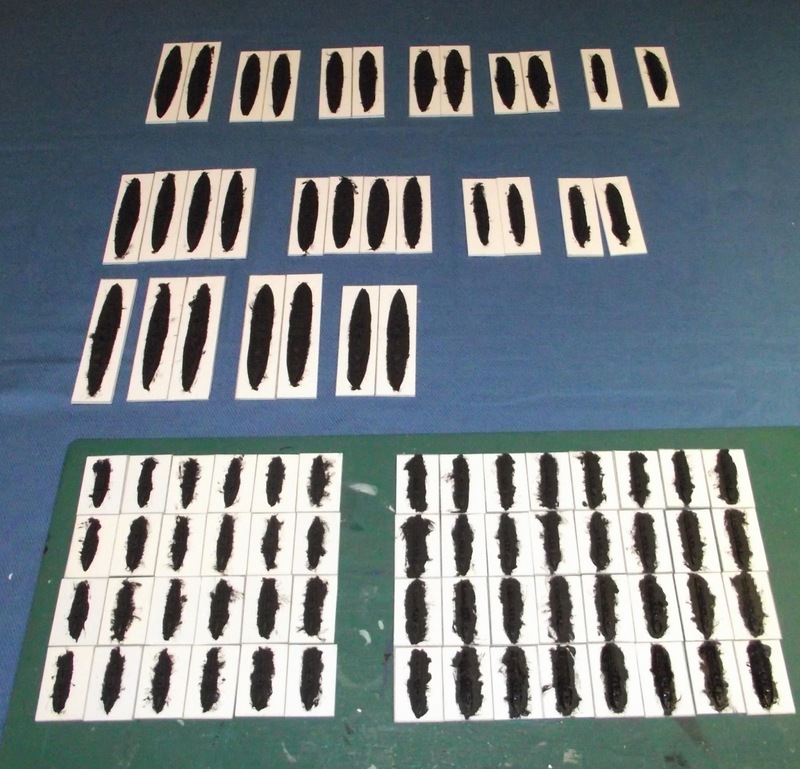 It has been a productive weekend on the 1/2400th scale WW1 ship front as you can see from the picture above. 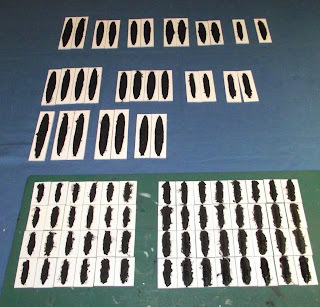 I managed to cut out 87 bases for the models from artists mounting board, clean up 6 light cruisers and 56 destroyers, glue all 87 models to the aforementioned bases and then finally black under coated the entire collection. I have two weekends and any odd times in between to finish these before the end of the month which will be pushing it but I reckon if I can stick the timetable I have set myself it should be achievable. The rules I shall be using with these (and for the ongoing adventures of Fezia and Rusland) merely have a single section to be redrafted in order to be ready although I will need to draw up the ships cards. Right then! The first step for this blitz job of nearly one hundred ships is to ready the bases. By that I mean draw them up on the card I am using and cut them out. the card I have is artist's mounting board acquired from a local art ship. I purchased a bag of off cuts for a couple of pounds and it is still going strong after a couple of years. The bases of all the ships are 1" across the beam and with the length allowing roughly 3/8 ths of an inch off the bow and the stern. This is large enough for the model but not too intrusive in terms of table 'footprint'. There is plenty of room on the base for the ship name and the national ensign - a small touch but one that adds to the look of the thing in my opinion. I will also be readying the name labels as well as cleaning up the last of the models prior to fixing to the bases and undercoating. I have three weekends in which to these models and as long as I keep to the timetable I should be OK. The rules merely need some minor cosmetic work and are then ready to test although I will need to cobble up some ship charts for damage purposes. OK then - here's the plan. 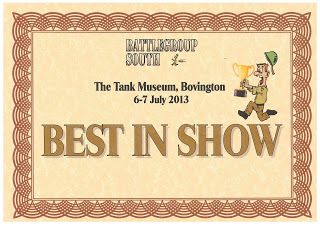 I am going to get the 1/2400th scale WW1 British and Germans ready to to use by the end of July - actually 26/07 as I am away from 27/07 for a week. I am cheating ever so slightly in that I have decided to use the Paul Hague Sea Battles in Miniature approach in terms of the number of ships I shall be completing. Basically, he uses one capital ship to represent two - which is fine where the ships are built in multiples of two, less so when they are singles or threes and fives. For the record this will still leave me with some 27-odd dreadnought sized warships to paint with some 64 or so light cruisers and destroyers. The rules are very close to being ready for a first play test and so I am also beavering away at getting the draft ready. 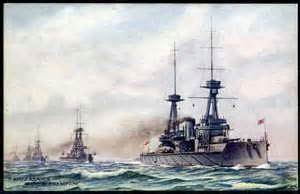 I suspect that our old friends Fezia and Rusland will be making an appearance for this but ideally it would be nice to throw some dreadnoughts around.